Have you reviewed or posted about audiobooks in July? 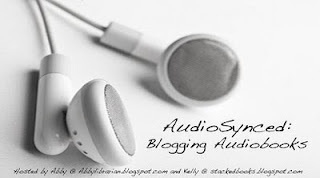 Remember to submit a link for our July AudioSynced Roundup! The Roundup will be posted right here at Abby (the) Librarian on Sunday, August 1. If you have links to submit, leave them in the comments on this post or email them to me (abbylibrarian @ gmail.com)! Haven't reviewed or posted about an audiobook this month? There's still time! Or you can always catch us next month when the roundup will be hosted by Kelly at Stacked.